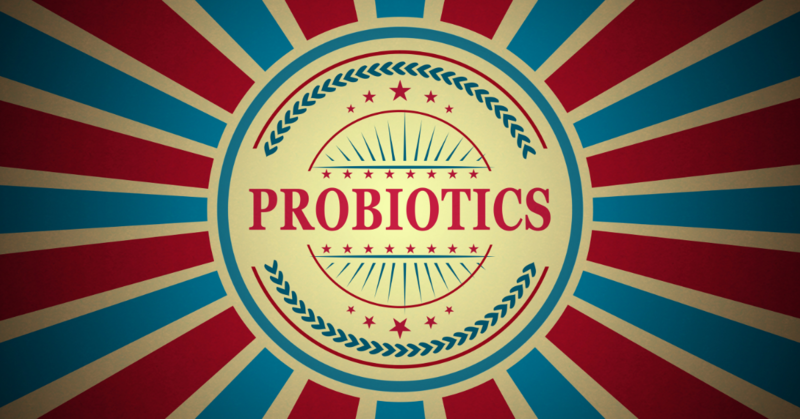 Probiotics are healthy germs which a person takes to improve intestinal and overall health. According to the World Health Organization definition from 2001, probiotics are "live micro-organisms which, when administered in adequate amounts, confer a health benefit on the host." The most common bacteria included in probiotics from this category include strains of Lactobacillus and Bifidobacterium. These strains generally require refrigeration. Because they are derived from bacteria living in human intestines, many strains may repopulate and remain in the intestines over time. These are also called spore-forming probiotics. Common spore-forming probiotics include strains of Bacillus bacteria. These bacteria exist in heat stable spores outside of the intestinal tract. This means they do not require refrigeration. They are also acid stable which improves their chances of reaching the intestines. Unlike human intestinal bacteria like Lactobacillus and Bifidobacterium, these do not appear to repopulate the intestines. They seem to work by supporting the growth of healthy bacteria in the intestines. They may also work by helping Lactobacillus and Bifidobacterium probiotics live, grow, and function in the intestines. To prevent Candida yeast overgrowth in the intestines and to keep a balance of good intestinal bacteria, probiotics may be helpful. Herbal and prescription antibiotics can kill healthy intestinal bacteria which can lead to yeast overgrowth, immune system imbalance, and poor digestion with loose stools. In some with loose stools on antibiotics, it may be very helpful to increase probiotics to stop this problem. Use either a soil-based probiotic with Bacillus species or human intestinal bacteria with Lactobacillus and Bifidobacterium. For greater intestine dysfunction, consider using both types. The advantage of a soil-based spore-forming probiotic is that it does not require refrigeration. Be sure to use brands which use strains that are scientifically proven effective. Corebiotic by Researched Nutritionals 2 to 4 pills 1 time a day. This product is a soil-based spore-forming probiotic that includes strains of Bacillus scientifically proven to support intestinal health. Consider using Corebiotic Sensitive, which does not include prebiotic fiber, if Corebiotic causes gassiness. Another spore-forming probiotic to consider is Proflora R by Bio-botanical Research. HMF Forte by Genestra 2 to 4 pills 1 time a day. This product includes Lactobacillus and Bifidobacterium strains scientifically shown to support intestinal health. Based on my experience managing Lyme disease in Seattle, when someone has intestinal yeast overgrowth, it is useful to use both a soil-based probiotic and a human intestine-based probiotic at the same time to improve intestinal function. See A Silent Problem. Do You Have Yeast? to determine if you have intestinal yeast overgrowth. See C. Difficile Diarrhea: Prevention and Treatment on this site for information about using Sacro B to promote healthy intestinal function if someone could develop or has C. Difficile overgrowth. Do not take bacterial probiotics near herbal or prescription antibiotics. Because Sacro B is a yeast, it should not be taken near anti-yeast medications. Avoid taking the bacterial probiotic 30 minutes before through two hours after taking an antibiotic. Do not take Sacro B 30 minutes before through two hours after taking an anti-yeast medication. FAO/WHO. Health and nutritional properties of probiotics in food including powder milk with live lactic acid bacteria, Report of a Joint FAO/WHO expert consultation on evaluation of health and nutritional properties of probiotics in food including powder milk with live Lactic acid bacteria. Córdoba, Argentina: 2001. Gill H, Prasad J. Bioactive components of milk: probiotics, immunomodulation, and health benefits. In: Bosze Z, editor. Advances in experimental medicine and biology. New York: Springer; 2008. pp. 423–464. Britton RA, Versalovic J. Probiotics and gastrointestinal infections. Interdiscip Perspect Infect Dis. 2008;2009:1–10. Elshaghabee FMF, Rokana N, Gulhane RD, Sharma C, Panwar H. Bacillus As Potential Probiotics: Status, Concerns, and Future Perspectives. Front Microbiol. 2017;8:1490. Kelesidis T, Pothoulakis C. Efficacy and safety of the probiotic Saccharomyces boulardii for the prevention and therapy of gastrointestinal disorders. Therap Adv Gastroenterol. 2012;5(2):111-25.